Volkswagen has revealed the latest in its family of ID concepts at the Shanghai Show. Together with the previously launched ID and ID Buzz, this new ID Crozz SUV previews a range of electric vehicles that is due to go into production in 2020. 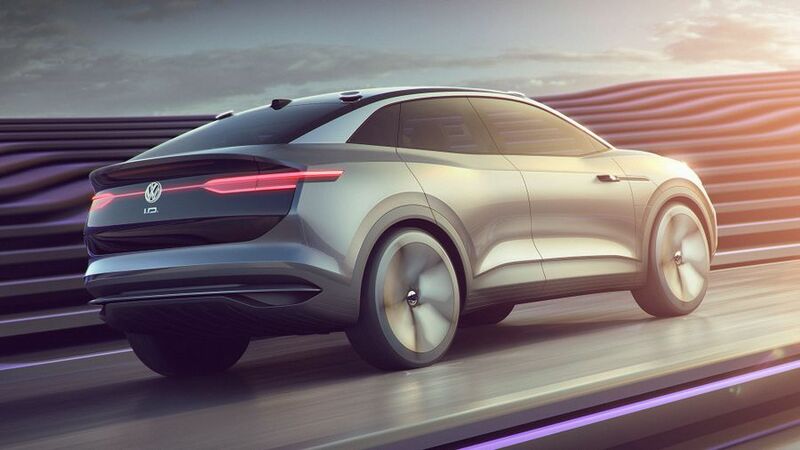 This new concept is described the company as a CUV (crossover utility vehicle) and said to combine elements of both an SUV and a coupe. So, it has four-wheel drive, a raised ride height and more interior space than the current Tiguan SUV, despite being a slightly smaller car. From the outside, the distinctive styling of the ID family is obvious, with its C-shaped daytime running lights that frame the headlights formed from five lines of LEDs. The Volkswagen badge, too, is illuminated, and links the two headlights with a line of light across the grille. Also at the very heart of the concept is autonomous, self-driving technology, which the company expects to be available on these cars from about 2025. When the ‘autopilot’ feature is activated, the steering wheel retracts into the dashboard, which naturally includes the latest in connectivity, with both a touch-screen and a head-up display. 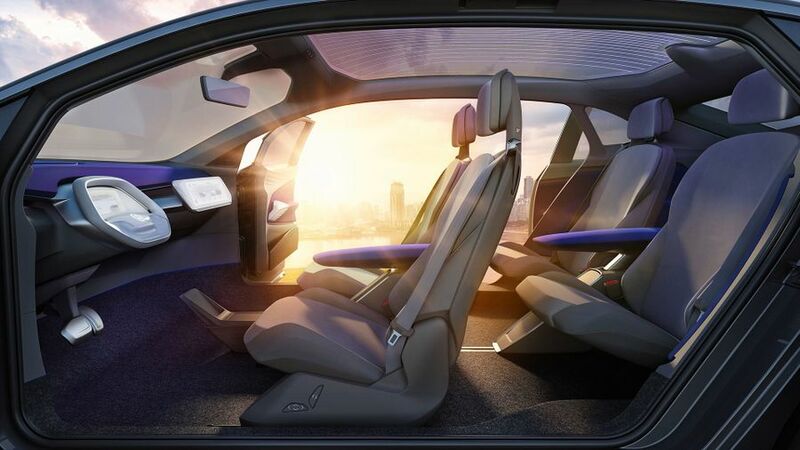 Practicality hasn’t been forgotten, either, with the elements of the electric transmission arranged in the floor to allow for a huge variety of possible arrangements for the seats. In addition, the rear seat bases fold up to allow room for a bike to be carried between the front and rear seats, and the doors open to an unusually wide angle, with no pillar between the front and rear doors, which makes it easier to load and unload the car. A further advantage of having the electric transmission’s components laid out in this way is that it keeps the car’s centre of gravity low – as low as in a sports car – and also allows the car to distribute power to whichever of the wheels is most suitable. Volkswagen claims that this gives handling on a par with the Golf GTI, yet on rough terrain, the high-riding car can be driven in four-wheel drive. A full charge gives a range in excess of 300 miles – as much as on a petrol-engined car – and the ID Crozz can be charged up to 80% capacity from a fast charger in just 30 minutes. 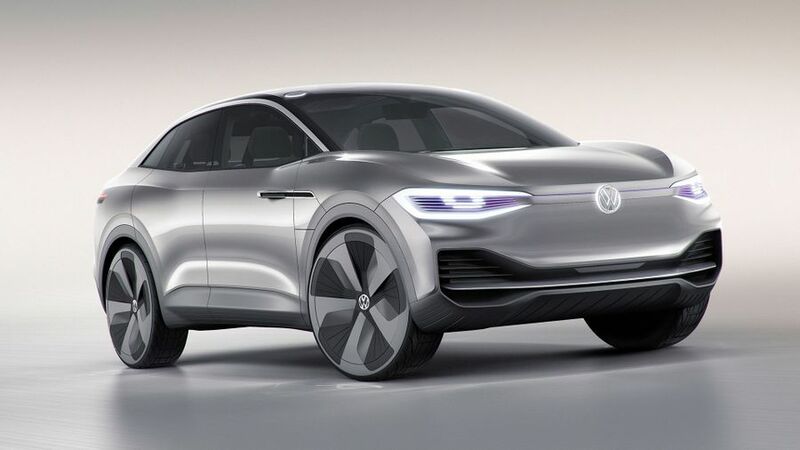 For now, this is clearly just a concept car, but Volkswagen is not shy about the fact that the family of cars it previews will go on sale in 2020. And, it will be a family, with this ID Crozz SUV joining the ID hatchback and ID Buzz (a reimagined VW Microbus) in offering buyers a choice of long-range, fully electric zero-emission cars.